Federico García Lorca (1898-1936), wrote The Tamarit Diván and the Sonnets of Dark Love in the last years of his life. Both books were published posthumously and explore passionate love. The setting for The Divan is the poet's Granada, while the Sonnets are a solitary, intimate voice speaking to one person. In translating these powerful poems, Jane Duran and Gloria García Lorca have tried to remain as close as possible to Lorca's words and to his emotional and sensuous intensity. This bilingual edition also includes essays by two acclaimed Lorca scholars. Christopher Maurer's essay, 'Violet Shadow', explores Lorca's relationship with Arabic poetry in the Divan. Andrés Soria Olmedo's essay, 'Dark St Valentine', studies the implications and resonances of 'dark love' in the Sonnets. Jane Duran was born in Cuba, the daughter of a Spanish exile and an American mother. She was brought up in the United States and Chile, and lives in London. Her collection of poems, Breathe Now, Breathe (Enitharmon, 1995) won the Forward Prize for Best First Collection. Subsequently Enitharmon published Silences from the Spanish Civil War (2002), Coastal (2005), Graceline (2010) and American Sampler (2014). Together with Gloria García Lorca she translated Lorca's Gypsy Ballads (Enitharmon, 2011). She received a Cholmondeley Award in 2005. Gloria García Lorca was born in NYC during her parents exile from Spain. She is the daughter of the poet's younger brother Francisco, and Laura de los Ríos. Gloria García Lorca received her Bachelor of Arts degree from Sarah Lawrence College, NY and then moved to Madrid where she has lived ever since. She translated the Gypsy Ballads with Jane Duran, published by Enitharmon Press in 2011, and is a ceramist, painter and sculptor. Her work has been exhibited in Spain, England, the United States and Switzerland. 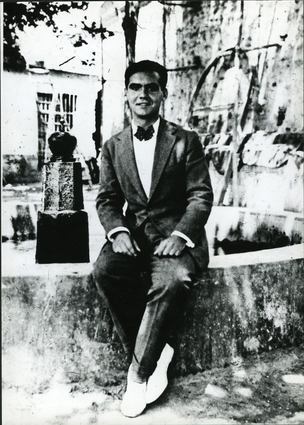 Federico García Lorca (1898-1936) is one of the most popular of modern European poets and playwrights. His poems and plays about creation, desire and death have been translated into dozens of languages and transformed into song, ballet, opera and painting. Fascinated by the folk music of his native Spain, Lorca wrote two books inspired by gypsy rhythms: Poem of the Deep Song (on the world of flamenco and cante jondo) and the best-selling Gypsy Ballads. In Poet in New York (written 1929-1930) he turns the American city into an image of universal loneliness, and in tragedies like Yerma, Blood Wedding, and The House of Bernarda Alba he takes the measure of human longing and of the social repression that would contribute to his early death (he was shot by right-wing forces at the beginning of the Spanish Civil War).